As you may have heard, Instagram unexpectedly announced various changes to their API on April 4, 2018. We have spoken previously about this and what this means for TINT users. However, Instagram’s new changes to their API on April 4 made acquiring rights for posts via commenting no longer possible through TINT and any other platforms in the industry. 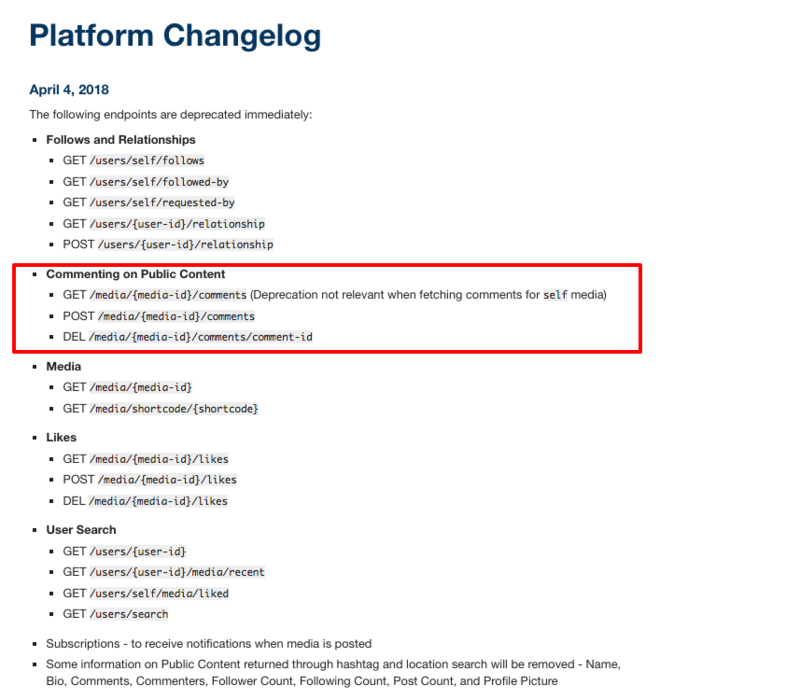 Instagram’s announcement on April 4, 2018 on what was being deprecated from their API. TINT had predicted this change prior to Instagram’s announcement and wanted to be ahead of the game for our customers. 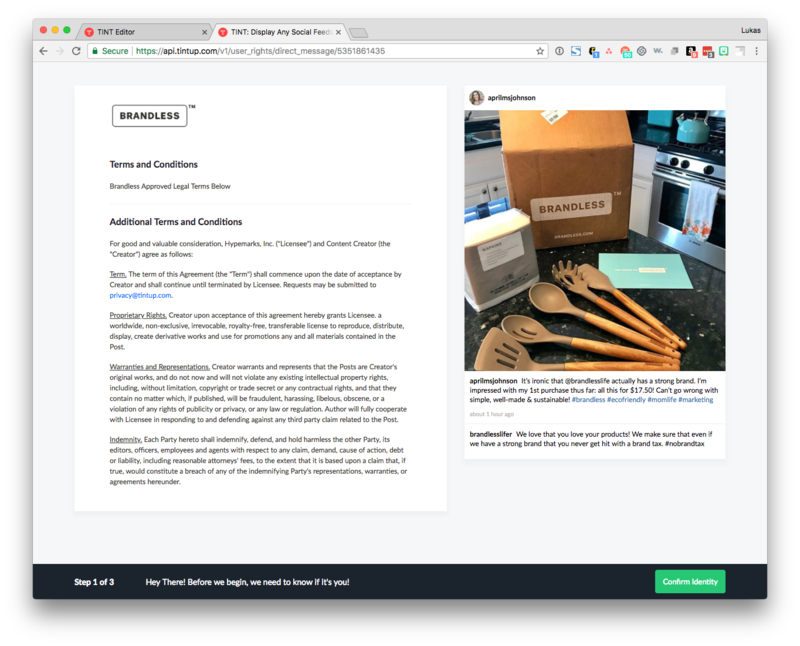 Because of this, our product team has been hard at work to continue supporting UGC rights requests and clearance on Instagram. TINT is proud to announce our new feature of sending rights requests through direct message or comment using a custom UGC link. 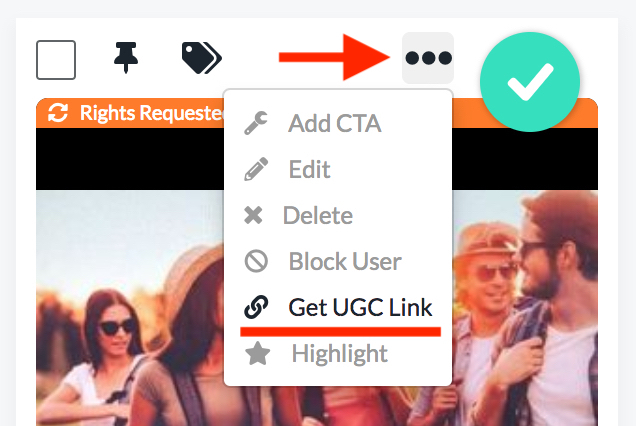 Though you can no longer request rights through TINT’s platform via commenting, we have made it incredibly easy to generate a link that leads you directly to the user’s post. From there, simply add a comment manually or Direct Message them the link and wait for the request to be approved. After you have been granted rights to the photo from the original author’s authentication, you can download the image from your TINT or auto send it to your other content management systems to legally repurpose! Watch this quick video on how to request rights through custom links. You can read additional information on requesting UGC rights through TINT here or contact us now!